RMLE Unconferences are so successful because of the people who contribute to them. The underlying foundation for these events comes from our five organizational sponsors and the dedicated individuals and teams who represent them. 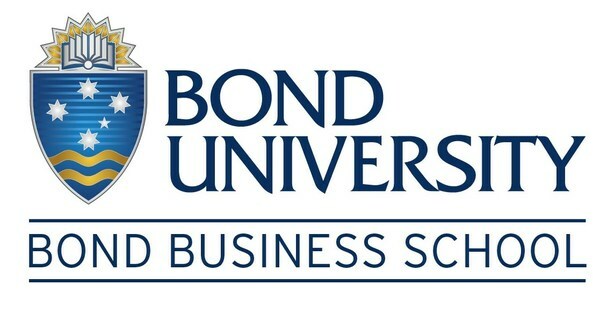 We are so very fortunate to have ongoing commitment and support from the editors of the leading journals in the field of management learning and education as well as the team at Bond University. Bond University was the location of our inaugural RMLE Unconference in 2013. As the only ongoing tertiary institutional sponsor for these events, Bond University has a special place in the history of the RMLE Unconference. It is also the home of Amy Kenworthy, chair of our management team, and George Hrivnak, our event moderator - two people who affectionately call these events "their work babies" (their real babies attend most of our events and serve as our RMLE mascots). The Academy of Management Learning and Education's (AMLE) mission is to contribute to management learning and education by publishing theory, empirical research, reviews, critiques, and resources that address the processes of management teaching and the learning that results from it. Additionally, AMLE publishes work that addresses important issues in the institutional environment and administration of business schools and their stakeholders. Three generations of AMLE editors have helped us to shape our RMLE Unconferences with the original event stemming from a discussion between Ken Brown and his friends, Amy and George, at Bond University. A huge thank you to Ken Brown, Chris Trank, and Bill Foster for their ongoing contributions and support. The Journal of Management Education's (JME) editorial team welcomes contributions from management educators who seek to reflect on their professional practice and to engage readers in an exploration of what or how to teach in order for students to learn and practice effective management. Editors from JME have been a part of the RMLE Unconference since its inception back in 2013, with Jon Billsberry helping to organize the first event and designing our first website. From 2014 onward, Jeanie Forray and Kathy Lund Dean have actively supported the Unconference, attending most and ensuring that there are always some of their amazing editorial team and editorial board members at every event. Our Unconferences wouldn't be the same without them. Management Learning (ML), the 'Journal for Critical, Reflexive Scholarship on Organisation and Learning', is an international journal publishing original theoretical, empirical and exploratory articles on learning and knowing in management and organizations. Management Learning provides a unique forum for critical inquiry, innovative ideas, and dialogue. Starting with Eugene Sadler-Smith's attendance at our second RMLE Unconference at the Copenhagen Business School, followed by support from other ML editors including Ann Cunliffe, Emma Bell, and Todd Bridgman, the ML team is a significant partner for our RMLE Unconferences. We love the depth and breadth they bring to these events. The Decision Sciences Journal of Innovative Education's (DSJIE) mission is to publish significant research relevant to teaching, learning, and education in the decision sciences - quantitative and behavioral approaches to managerial decision making. Articles submitted to the journal should offer either proven innovation in classroom instruction/delivery, new insights into pedagogy, program development, delivery, or assessment, or empirically based analysis relevant to learning and education in the decision sciences. Vijay Kannan, past editor of DSJIE, was a strong contributor and engaged attendee from our second Unconference at Copenhagen Business School through our fourth event at INSEAD. We are now thrilled to have the new DSJIE editor, Matthew Drake, with us at all of our events including the 2017 and upcoming 2018 Unconferences.